This is our latest Product Guide. It's filled with hundreds of Young Living Essential Oil products that make a huge difference in wellness, beauty, and non-toxic living. 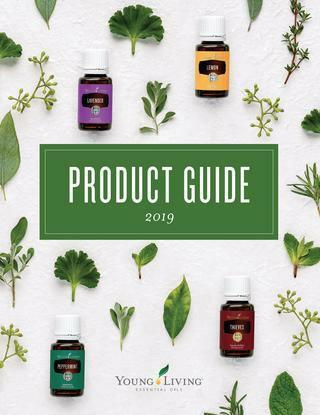 • Stay connected - If you'd like to stay connected to a Young Living Representative, sign up for my newsletter where I send out occasional and valuable information on Essential Oils. You'll be amazed by how learning about our products can help your family in many ways. Sign up now to be kept informed.